It seems the design savvy are going la-la for the lacquer look right now, with posts by some of my favourite bloggers lusting over glossy walls and finishes. So why now? Well…. It was inevitable really, after years of the design rule being matt, matt and more matt, with occasional chalkiness thrown in. Where there’s a trend, there’s a backlash. Mad for Marrakech – has anyone actually not been yet?! 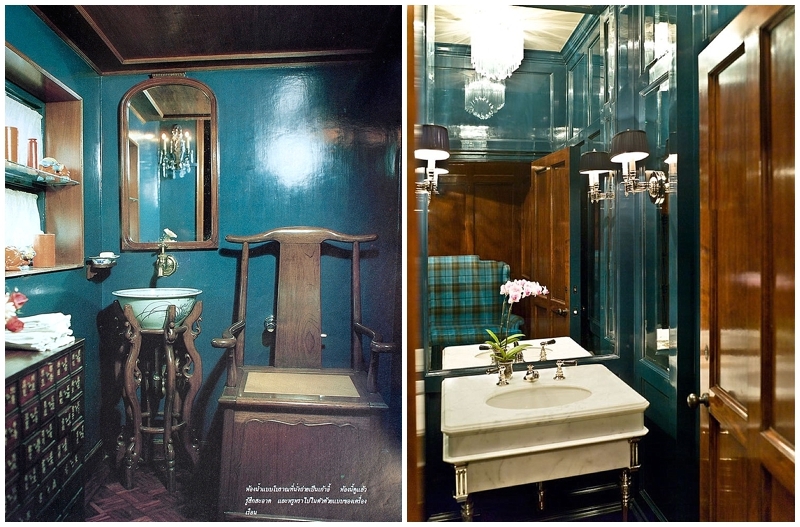 Mr M & I loved our stay at Peacock Pavilions and noted, as did everyone else, the glorious deep sheen to Moroccan bathroom walls. Fully tiled subway walls – after all, it’s far easier to get that glossy look with paint rather than tiling, right? Full on metro tiling has inspired us to lust after gloss walls! Uber stylish design buyers have been travelling east organising products to be made & shipped, how could they fail to fall for the tradition lacquer so beloved in China. So if you’ve decided to go for gloss and are wondering how best to achieve the look, here are my top tips. Firstly, Know Your Products 1 Lacquer Don’t confuse lacquer with gloss paint. 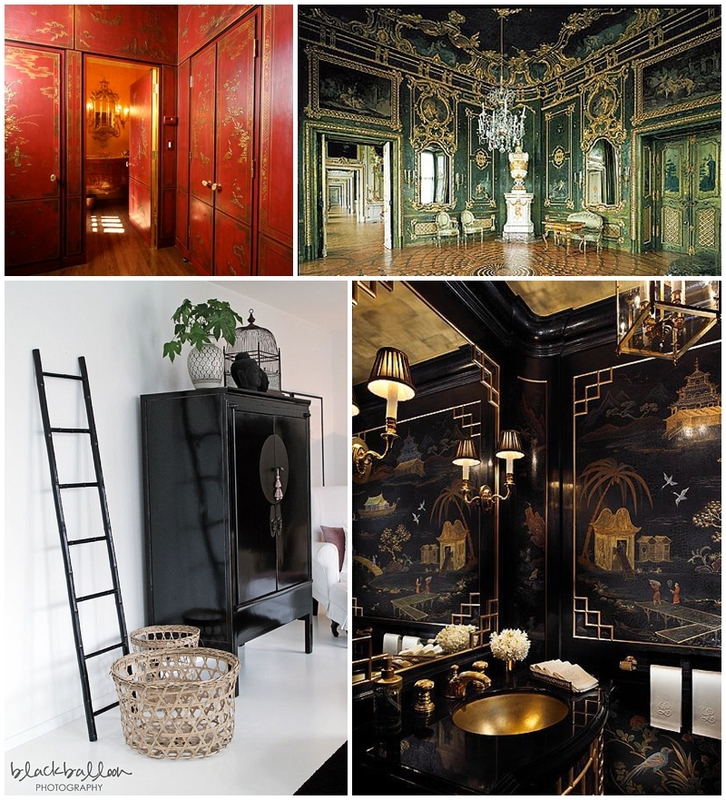 True lacquer, used for millennia by the Chinese and seen in some of the most amazing heritage palaces, was until very recently limited to a combination of resins & solvents, magically combined by craftsmen to created the deep lustrous sheen beloved by kings and emperors. It wasn’t seen that often on walls, but mostly on furniture, panels and decorative items, often with a decorative chinoiserie finish. Recent developments have meant water based and more environmentally friendly products are available but don’t be fooled, this process is still a kind of alchemy not to be attempted by those after a quick fix. Getting a perfect lacquer finish takes a great deal of skill and is very labour intensive. If you’re the sort of decorator who’s attempted glossing skirting and ended up with it all over your floor, walls and hands, this may well not be the DIY for you. Take a look at Henry van der Vijver‘s amazing website for lacquering inspiration. Be warned however, superb lacquer finishing is an investment not a fad and doesn’t come cheap, and if you even know what the word budget means, you probably can’t afford it. 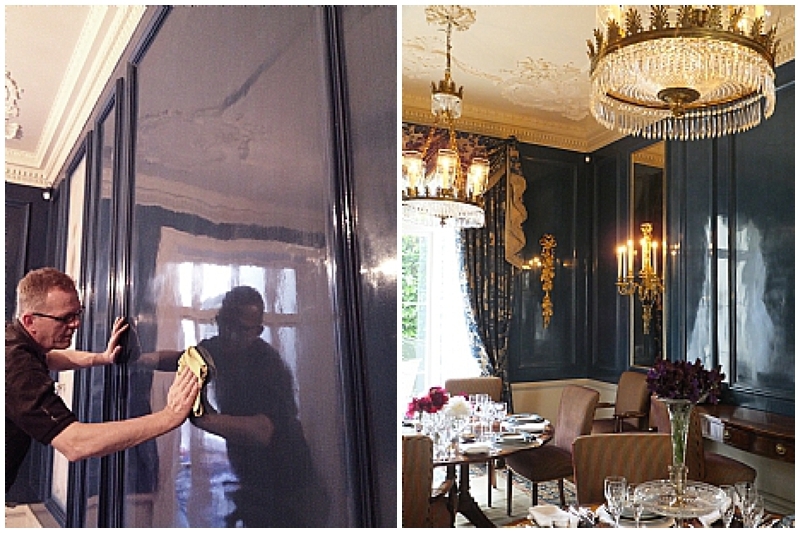 Most ‘lacquered’ walls you see on Pinterest are simply painted in gloss finish. 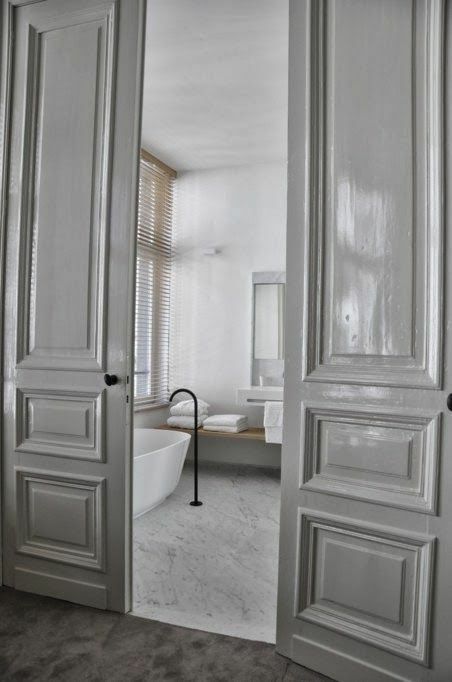 2 Tadelakt Creeping into stylish bathrooms following long weekends in Moroccan hammams is the ancient art of tadelakt. This is a plastering technique which combines layer upon layer of lime plaster which is polished with a stone and then sealed with olive oil soap, giving a water tight but not air tight seal, meaning the walls can breathe. The finish is beautifully tactile and smooth, looking a little like polished concrete but more velvety and somehow warmer. It looks simple and effective, lustrous and contemporary, and besides who wouldn’t want a 2000yr strong technique who’s literal meaning is ‘caress’? You can google specialists in your area or you can try it yourself. I’m very tempted to give it a go here at Moregeous Mansions! Budget wise less costly than lacquer and an option for a keen DIYer with good practical skills. Do tell me if you give it a go, I’d love to see the results! Moroccan Tadelakt. 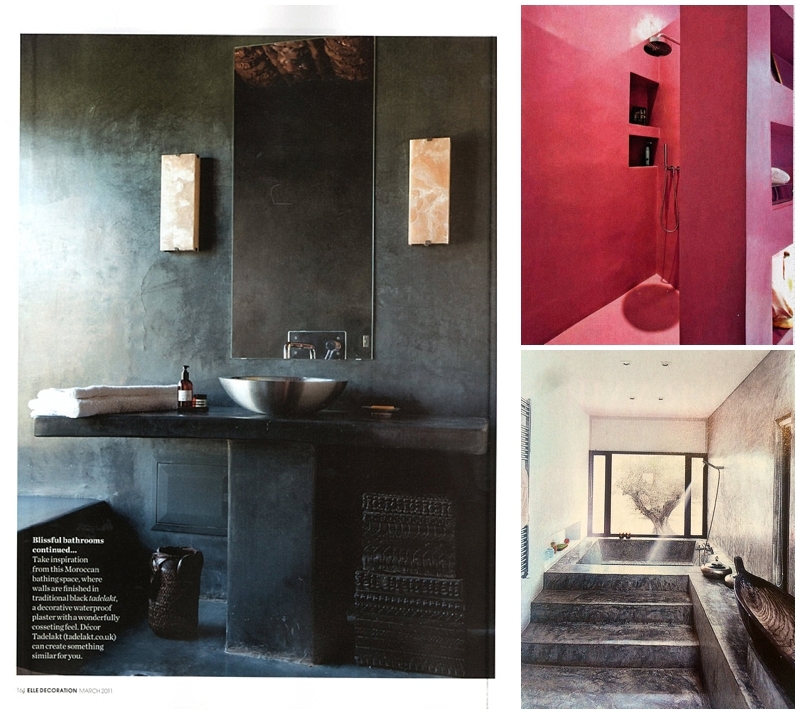 Images via Living Etc and Elle Decor via Pinterest. 3 Gloss Paint And last but not least there’s the option to do it yourself or find a friendly decorator to give your pad a makeover. 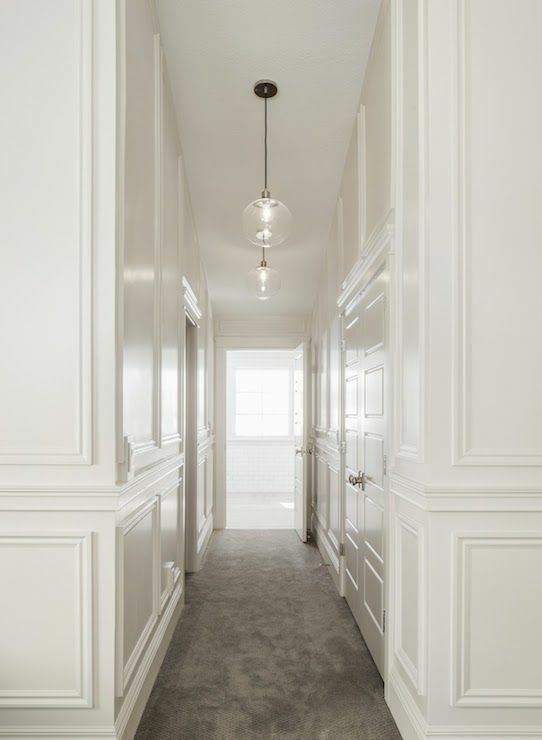 The latter will probably be a bit surprised if you ask him or her to gloss a wall for you as this finish has mostly been confined to skirtings and architraves but it can look pretty spectacular when you scale it up. 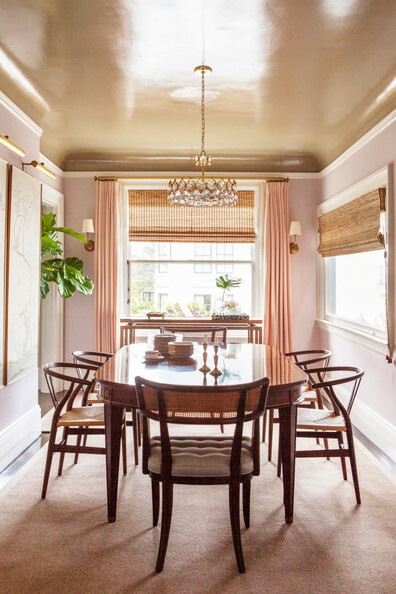 These images have sealed the deal for me, I’m deliberating a glossy corner or two as I decide on the final overall look for our mid-renovation home. Of course, you don’t have to go black, even though that’s super on trend at the moment with every design blogger worth their salt having at least one black wall for 2015. 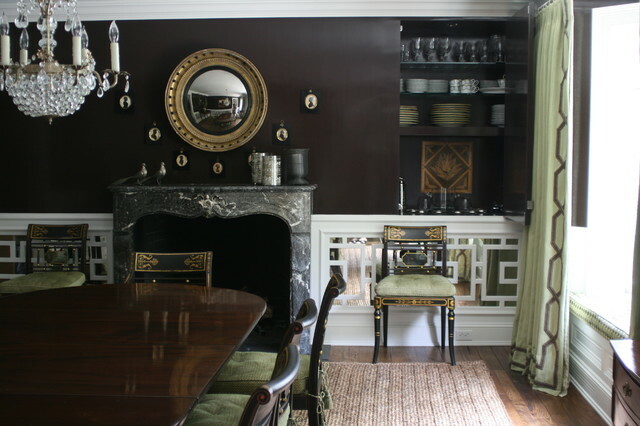 I like this chocolate mid-sheen wall below by NYC based designer Michel Whaley, set in a room with Chinese influences such as fret work wall panelling and ornate carved chairs. 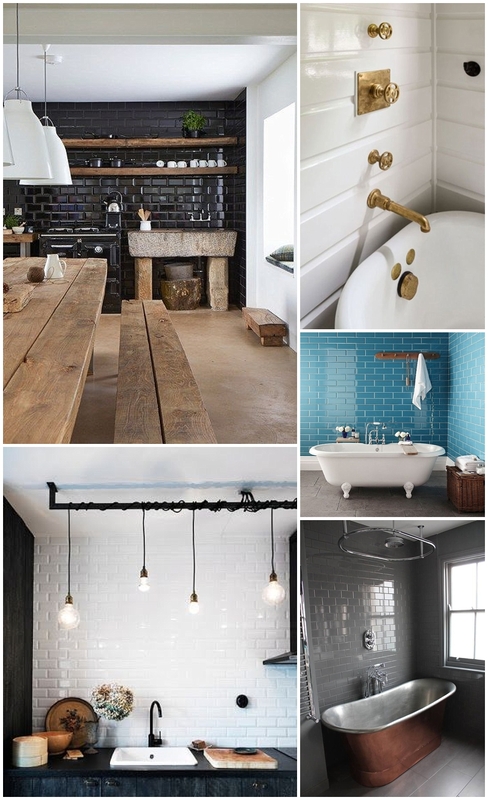 I do love a touch of teal and though these images below show this rich colour with browns and timbers, try bringing it up to date with deep greys or brilliant white for a more contemporary vibe. Paler pastels work beautifully in gloss or a lighter mid-sheen. In my book, a reflective vibe works better on vertical surfaces with added detail like panelling or seams, just to add visual interest to what would otherwise be a blank shiny wall. I do like the juxtaposition of the pale blue with the black glazing frames here too. Very modern. Maybe that’s why I like the following two images so much, the depth to the panel detailing gives punch to what might otherwise be quite a flat feel. 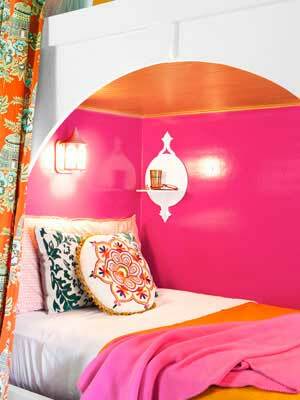 Or how about some hot pink, like this bejewelled girl’s bedroom by Jennifer Bright using a US branded gloss paint called Razzle Dazzle. This one’s definitely a wake me up WOW choice 🙂 Nor is the next one for wallflowers. 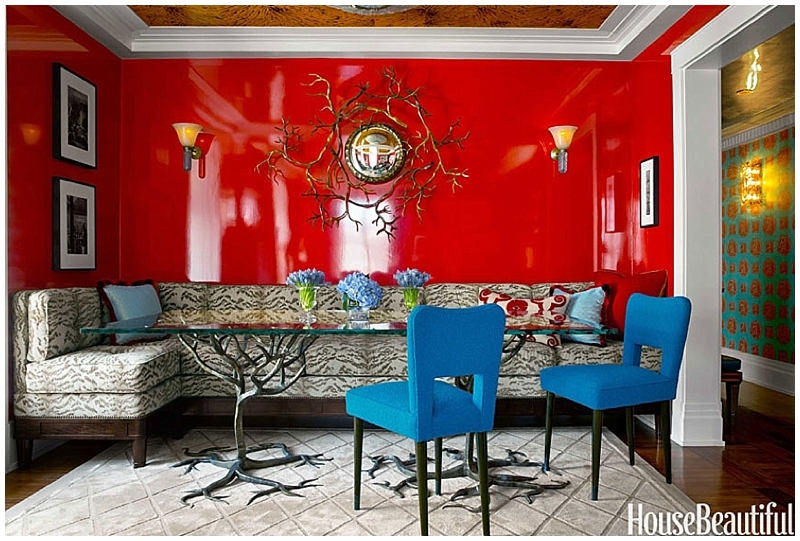 Red is a classic colour for traditional lacquering but this room is about as far from traditional as you can get, eclectic and a bit kooky, not quite my style but definitely interesting! A brilliant ice white gloss could look a bit too lab like in other more relaxing rooms so why not try a warmer shade of white? Though with paint you’ll never truly get the incredible depth and tone of lacquer, beautiful effects can be achieved if coupled with soft golds and period detailing. Ceilings can get the high shine treatment too, bouncing light around the space to increase energy and create interest in unexpected places. Research specialists in wall finishes, lacquer, decorative paint or plasterwork in your area to get the best man, or woman, for the job if you haven’t the confidence to DIY. Remember gloss creates light reflecting energy so for a calm space, this might not be the best choice. 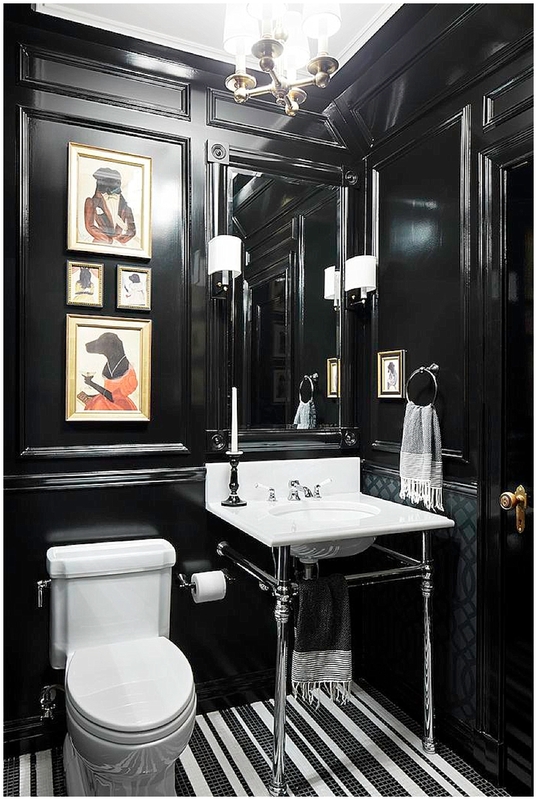 Dark colours absorb the light much more than light ones, which is perhaps why the moody and mysterious shades feel so attractive when painted with a sheen. If you have any sort of bumps or blemishes on your walls, a gloss finish will reflect back and show up, quite literally, Every Single One. Matt finish paint is far more forgiving to old walls or uneven surfaces, so if your walls are terrible, consider getting them re-skimmed before painting with gloss. Mid-sheen paint is slightly more forgiving, but not much. This is why painting panelling in gloss is far easier. A timber or mdf surface is flat and even to start off with unlike many walls, especially in older homes. 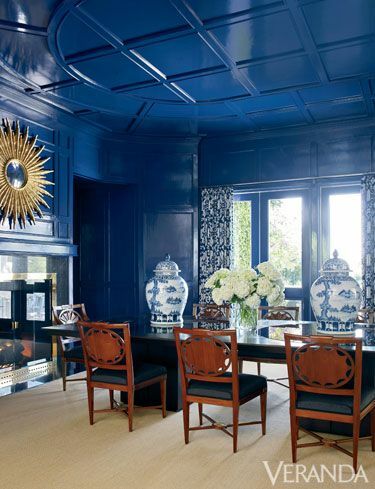 Lacquered finishes reflect any light like crazy and this drives some people mad, especially in rooms with large windows. Prepare to be, quite literally, dazzled by flashes of bouncing light. The trick to getting a perfect lacquered finish is all in the prep and the meticulous process. Paint, sand, paint, sand, paint…you get the picture right? It can be easier to use a spray gun once you’ve got the initial flat surface but I’d suggest this only if you are confident DIYer or can rely on a great decorator! Don’t be tempted by ‘one coat’ gloss paint. Use decent quality paint, allow to dry thoroughly. Lightly sand using a glass paper and then gloss again. Use either a really good quality brush ( I like Purdey’s) or a sponge roller – NOT a fluffy hair roller which will leave hairs & bits all over your lovely new surface. 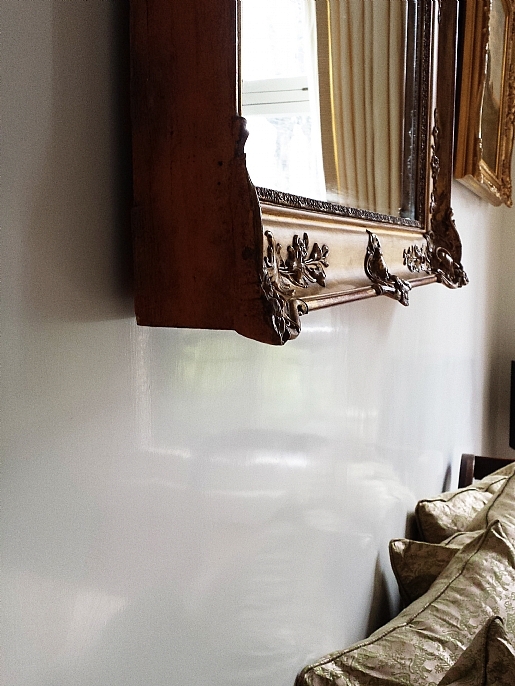 Solvent based paint, in my opinion, gives a ‘glossier’ finish, seamlessly melting together to create a mirror like surface. But it does drip more and you need to be careful with application. Water based sheen finishes give a much less lacquered look and tend to leave ‘lines’ in the paint more. Rollering is better than brushes for water based paints to get a smooth finish. For bathrooms, think carefully and think practically. I have a number of rentals and have used both eggshell and matt paint and there can be real problems with non-matt in damp spaces where there’s a lot of moisture in the air. In rooms with little ventilation, even with a decent extractor fan, any condensed water will sit on the glossy walls and run or drip for fun leaving tracks, trails and unsightly tide marks. Lengthy showers create a lot of moisture and matt walls absorb some of the steam rather than reflecting it all back. Ventilation is key but be prepared for possibly endless wall wiping if you go for a shine. Baths News: Community Takeover Imminent! This comment went in junk!! Doh!! Hi Jing, sounds ‘maze, did you do it? !